I am sure that it is no surprise to my readers that I love pasta crafts. They are my favorite. As I have told you before, I have more pasta boxes set aside for crafting than I do for cooking. 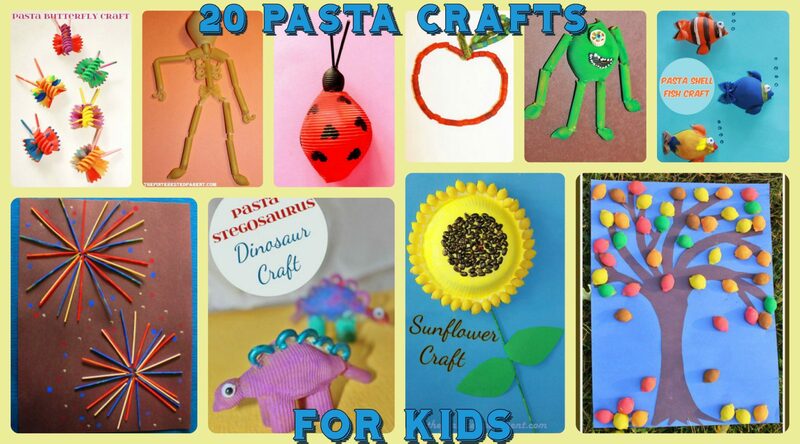 Here are 20 fun pasta crafts that you can do with your kids. Thanks Janine. They are my fav.